Manufacturing and Trading of Tunnel Ventilation and Industrial Automation Products. Established in the year 2000, we, Rays Electronics, are one of the glorious manufacturers, exporters, suppliers and importers of a vast collection of Power Transducers & Control Panel. Our product range consists of Automation Transducers, Control Panel, Power Transducers. In addition to the outstanding product range, we engage in proffering Repair and Maintenance Services, which are extensively popular for their standardization, feasibility and flexibility. For manufacturing the range, we make use of optimum quality raw materials and adhere to the predefined industry guidelines, so that the quality is maintained. Under the incomparable leadership of Mr. T. U. Rajan, we have marked our presence all over the globe. Because of the constant guidance and regular motivation of our leader, we get inspiration to achieve the organizational objectives. Moreover, we wish to m maintain the name and success in future. We are a responsible organization and therefore, endeavor to provide quality products and services to our clients. It is ensured by us that the raw material are procured from reliable and authentic vendors of the industry. Further, we have appointed a team of quality experts that helps us check the finished products on various parameters such as accuracy, operation, functionality and others. Vibrating and operational tests are conducted at our in-house quality checking laboratory, which is equipped with advanced testing equipment & machinery. Every product undergoes a 72 hours burn-in test before the final functional dispatch. 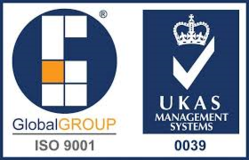 Organisation is ISO 9001:2015 certified , and we maintain the world class standards. We are backed by a spacious workspace that is categorized into several sections so that all the operations can be carried out without any hassles. Equipped with basic amenities and several kinds of machines, tools and equipment, based on modern & latest technology, our infrastructure facility is one of the biggest reasons of our success and name in the business. We upgrade the systems, regularly so as to keep up with the current technologies in market. Team is the backbone of a company. At our end, we have recruited a workforce of skilled & qualified designers, engineers, technicians, service engineers, quality analysts, administrative staff members, warehouse & packaging experts and sales & marketing professionals. Dedicated and focused, all the professionals in our company are recruited on the grounds of educational qualification, years of experience in the market and technical knowledge. Moreover, we organize several workshops, trainings and seminars for our staff. Following a client-based approach, we always emphasized on the completion of diversified requirements of our prestigious patrons, to the best of our abilities. At our company, we believe in establishing a strong connection with our customers and this is one of the reasons, we strive to offer optimum quality in the market. With the constant feedback and support of our patrons, we enhance the quality. In the past years of our service, we have earned a long list of purchasers, who place immense trust in us. Rays Electronics is one of the preferred choices of our customers, who place tremendous trust in our abilities and depend upon us for the completion of their varied demands. In the past decade, we have marked our presence all over the globe and earned immense success in the business. Apart from our outstanding product range, we are known for our transparent business dealings. Our company is a well-known name for proffering a perfect blend of quality and price.